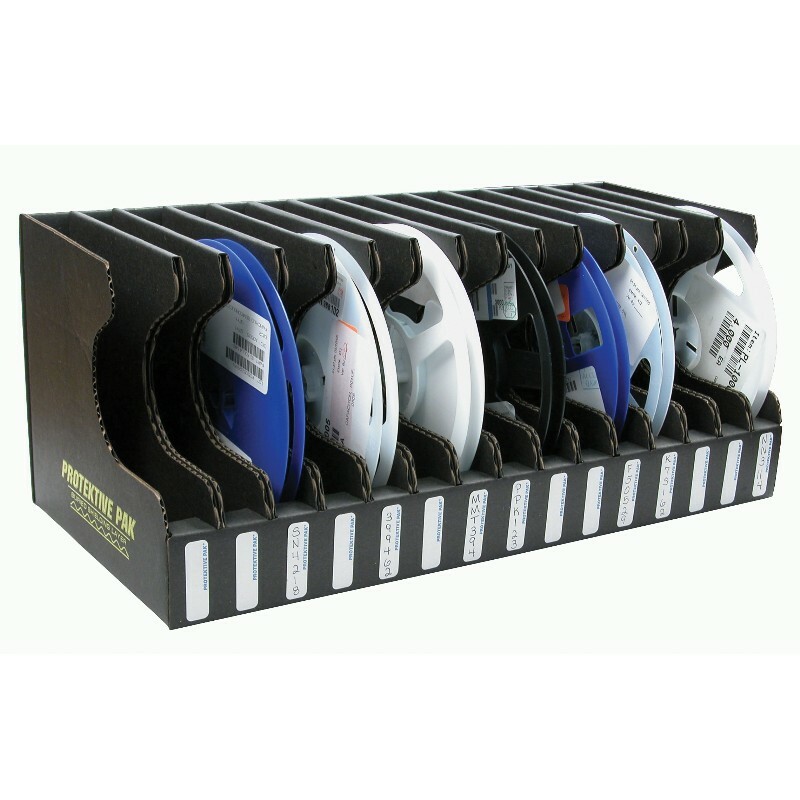 Protektive Pak - 37563 Open Reel Storage Container, 7 IN, 15 Slots, 17-1/2x8-1/4x7-1/4"
Per Packaging standard ANSI/ESD S541 Annex E.7 Tape and Reel "Devices (parts and components) can be fed to production equipment from carrier tape that is shaped to hold the device. The carrier tape is wound on a reel similar to motion picture film. A cover tape applied to the carrier tape keeps the device on the carrier. Both tape and reel can be made from plastic or paper and derive ESD protective properties from antistat, carbon, or inherently dissipative/conductive materials."